We are the Social Services Organization registered in Maharashtra Nursing Council, Mumbai (Maharashtra State) in the year 1998. Our functioning field is the Navi Mumbai specially from Airoli to CBD Belapur and limited area of Kharghar. We are not a commercial organization, nor a business or company or even an NGO. We are providing health care facilities only on humanitarian ground. We are the bridge between the people in need of home care and the trained care providers. We are proud to state that most of these care providers are from the low socio economical group classified as BPL (Below poverty line) women. 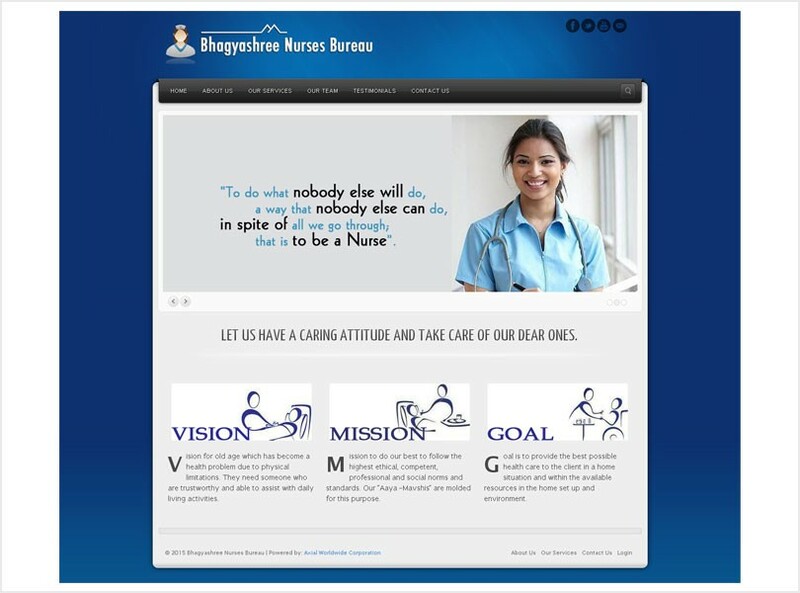 Mrs. Bhagyashree Kulkarni, herself a Qualified and Registered Nurse Midwife with Maharashtra Nursing Council, Mumbai had a experience in clinical nursing in renowned hospitals in Mumbai, Pune and Navi Mumbai. She is well aware of the type and limitations of Home Care which is required for a patient in recovery stage, convalescence period. Old age has become a Health Problem due to physical limitations. The Present Socio-economical status has a problem of senior citizens with physical limitations left alone in the homes. They need someone who is trustworthy and able to assist with daily living activities (ADL). Our Care Providers, popularly known as “Aaya Mavshi” are there to help such persons.